Opening Times: Refurbishment in progress. New opening times TBC. About: Aberdeen Art Gallery is a world-class visitor attraction which celebrates the inspiring power of art and music for locals and visitors alike. The collection is impressively large and offers something of interest for art lovers of all ages. 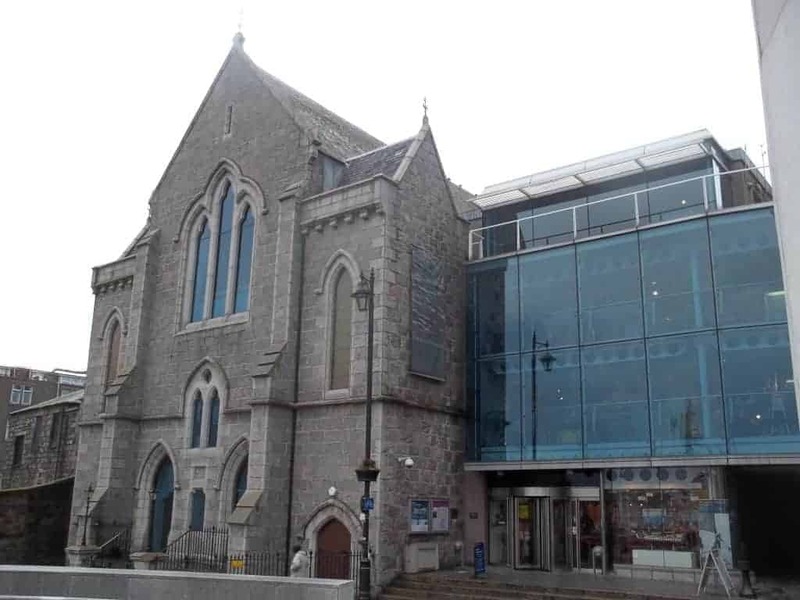 About: Aberdeen Maritime Museum tells the story of the city’s long relationship with the sea through a diverse collection of artefacts, informative displays and photographs. It houses a unique collection of memorabilia covering shipbuilding, fast sailing ships, fishing and port history. About: The museum’s displays are worldwide in scope, from protozoa to the great whales, and includes taxidermy, skeletons, study skins, fluid-preserved specimens and models. Opening Times: The park is open during daylight hours every day of the year. About: Balmedie Country park is part of a dune system that stretches 14 miles from Aberdeen to just north of the mouth of the River Ythan at Newburgh. The beach is sandy and over the years has won a number of awards including a seaside award in 2016. Address: AB43 8TL. The Esplanade can be reached via the A90 turning off to the East on Harbour Road. About: Fraserburgh Bay is a 4km long inlet of the North Sea on the Buchan coast which boasts golden sands and is a popular location for water-sports, as well as walking and family outings. About: The Cairngorms National Park is a vast area of outstanding natural beauty that caters for every interest, from long walks along mountainous trails, to relaxing afternoons on loch-side beaches. The area is rich in wildlife and is popular with cyclists and hikers. Address: AB42 0NN. Head north from Aberdeen by car via the A90. About: Cruden Bay is a firm favourite with tourists thanks to its sandy white beaches, crystal clear waters and quaint fishing harbour. There is a golf club, an ancient castle, and steep cliffs with nesting puffins all within the area. Opening Times: 8am until 1 hour before dusk. About: Duthie Park is a beautiful park located close to the city centre which opened in 1883. It features mature deciduous and evergreen trees, stunning flower beds, wide open spaces, an ornamental pond and a wetland area. About: Logie Estate offers opportunities for salmon fishing on the River Findhorn as well as plentiful walks by the river and through Logie House Gardens. The gardens include a playground, café and artisan shops. About: The Muir of Dinnet blends woodland, heath, and open water, all on one site. You can wander through birch woodlands, see beautiful damselflies and enjoy peace and tranquillity in the crystal-clear water of the lochs. About: Nairn’s sandy beach makes for the perfect family holiday with lots of activities for the whole family to enjoy, with sand castles, promenade walks, a putting green, a leisure park, and a swimming pool to name a few.